What to do when I've photographed everything interesting within an easy drive of my Carnoustie home? Photograph it again. I'm going through one of those stages just now where everything seems a little stale, everything is old and familiar and nothing seems to get the photographic juices flowing. It's something that must affect all photographers at some stage - or maybe I'm alone in feeling this way? Are there some people out there who can find a never ending supply of subjects for their camera? I can't believe that's the case. I think this barren period is one of the great drivers of gear acquisition syndrome (GAS). It's funny how a new camera or a change in format can give one the excuse to go and reshoot many of these tired motifs. To be honest, I'm beginning to feel the tug of something new but I'm trying to fight it. Yes, it will give me a temporary boost and the chance to see how things I've seen over and over again look through a different piece of glass or on a different format. A cheaper method is to try a new film - a slow one if you usually like a faster emulsion or something with some more grain if Tmax 100 is normally your thing. But, at the end of the day, it doesn't actually do anything for my photography. I know this from experience. It will cost me some money that I don't want to spend and then after, say, a few months, I'll be right back where I am now. As we all know, it's nothing to do with gear and everything to do with a lack of inspiration. Or a lack of direction. Without something to work towards, photography can become just a process. A routine that we go through to pass away some free time. It's better than watching the soaps but it really should be about much, much more than that. So how to make it so, as Jean Luc Picard might ask. Quite frankly, I don't know. If I had the answer I'd be lecturing at an art college somewhere. All I can do is to keep looking for fresh compositions within oft-visited locations, go out when the light is different to see what some newly-cast shadows can do for a scene or develop a new sensitivity to my environment. That was my intention with these three pics. They may be familiar because I've published them - or similar - here before. These scenes are particular favourites and are within a ten mile drive of my home. On this occasion, I came back from a photographic jaunt lasting a couple of hours (including a coffee stop at McDonalds) with nice photographs but nothing that is wildly different from the images I've made in the past. In terms of fulfilling my goal, they don't really do much. But in the process of taking these, I forced myself to get out and about with a camera when I was of a mind to stay home and that's better than nothing. When it comes to inspiration, perspiration is sometimes the answer. Or do readers have different ways of overcoming the photographic doldrums? You're not alone... I seem to follow the same patterns. I think I'm now exiting a period of lack of inspiration and, lo and behold, I started again to look for subjectcs in locations that did seem to have dried out long ago or just bored me. The places in the vicinity are what they are and I think we have to accept the fact that sooner or later we start to repeat, but hopefully with a more fresh eye and a trick or two more in our technical knowledge. And, yes, succumb to GAS does not heal a lack of inspiration just by itself, and looking at more equipment sitting neglected makes me feel a sort of guilt. Yes, force myself to go out and look for pictures, even if it seems repetitious and thus pointless, makes me feel better and often than not I manage to find a subject worth, or just a slight different view of it, which is better than nothing, I'd say. I hate that I hesitate to say this, but here goes anyway. All any of us who empathize at the heart's level with someone is offer advice that worked for us. After twenty years as a photographer, I was completely stale...(insert long, boring story...) I decided to learn how to make silver gelatin contact printing paper like the old gaslight paper my photography prof had back in the day. That lit a fire that after ten years burns even hotter. Paper led to dry plate led to film and I can hardly wait to wake up every morning and get back to it. Learning a new process is very different from G.A.S. Learning one that isn't being done to death is a day-by-day adventure. Best of luck. I love your website and your work. I think a "creative pause" happens to everyone now and then. I confess that I have fallow periods quite often. I find that I've stopped worrying about (mostly) it but then, I don't have a baying, hungry crowd of blog-readers to feed. Your three pix have a common factor: they are all images that look forward. A few obstacles, it's true – a fence post, some muddy terrain – but no immoveable object, nothing that you can't overcome. neural advice seems to be to try something new-sh. Revisiting old scenes might be new enough, but you could try walking, even staying indoors. With a camera of course. By way of diversion, a few hundred indiscriminate, omniverous digital images in a short a time as possible, then editing them down considerably from Bish-bash-bosh All You Can Eat, as it were, to a dainty platter. Slumming for you, but why not? We won't tell anybody and you can wash your hands afterwards. I suggest this because "considered" photography, by its very nature, can back you into a corner were movement is almost impossible. Seriously, it could reveal hidden themes that your eye sees but your controlling brain doesn't register. So, a few days off from rigorously moral photography and a bit of digital sin might do it. Or, as a last resort, you could work out how much you'd get for all your kit and how much more it would cost you to take up serious golf or hot-air balooning. That should cure anything. Don't worry about not being a lecturer. Their job might not be quite what you imagine. For clarity I have to say: I'm not a lecturer. I'm hardly the world's foremost expert at this, but I find that I just need to keep shooting the same old things when I feel the doldrums because sooner or later I will see something in them I hadn't before and it will spark new creativity. For me, the only way through it is through it. In your last post you mentioned colour photography and giving it a go. Well why not? And please don't give us the excuse 'I'm too poor to buy the film' rubbish! It can be had for £1 a roll if you look for it. In other words no excuses, the last lot of colour images looked pretty good even though they were taken on a phone camera. You have a very good eye for an image, so one roll of cheap colour film and there you are. Put it in one of the many cameras you probably have and only shoot one colour picture then move on and shoot something else. In other words go out looking for singular images but in colour not black and white. A while ago I did something similar only using IR film, I've still not finished with the project due to technical reasons. Try something different that gets you up off you're arse and gets you out of your comfort zone perhaps! Street photography, close ups, portraits, pets etc. Yup I know not your cup of tea but come on the list is pretty much endless. Then when you're fed up with these you can always go back to your favourite haunts. Who knows you might this time look at the subjects with a different eye. Your a big Gibson fan what about a few enigmatic 'Gibson-esque' style images at one of the derelict buildings? Only this time take someone with you to provide a bit of human interest e.g. a fleeting image, a shadow, a hand on the door handle perhaps? Ok it's been done, but then again you could say nearly everything's been done! So why bother, let's just sit at home and watch the telly then! Lots of great comments there. Thank you all very much. There were a couple of points that I wanted to respond to. David M: you've made me wonder if my photos are trying to tell me something. I've never thought that they might be a metaphor for something else going on in or around my life. I'm not great at introspection which is probably a bit weird when I'm quite introverted but I'll ponder this for a while and see if any insights emerge. Kenny: A Ralph Gibson job on one of my bikes? That's a good idea! I'll give that some thought as well. I had that moment after forty years as a commercial photographer. Then I just stopped photographing. It took a while to look at my old work, not the commercial, those "just for fun" images. I realized I was carrying my Leica M habitually around and shot what I liked. After all, those were the images I really liked, even 30 years after. I got rid of most "Professional" cameras such as hasselblads, Sinars, even all digitals. Now I walk around with my two Leicas, 35mm and 21mm lenses, some TRI-X in my pocket and I am happy to have 3-4 nice frames in 60 shots. 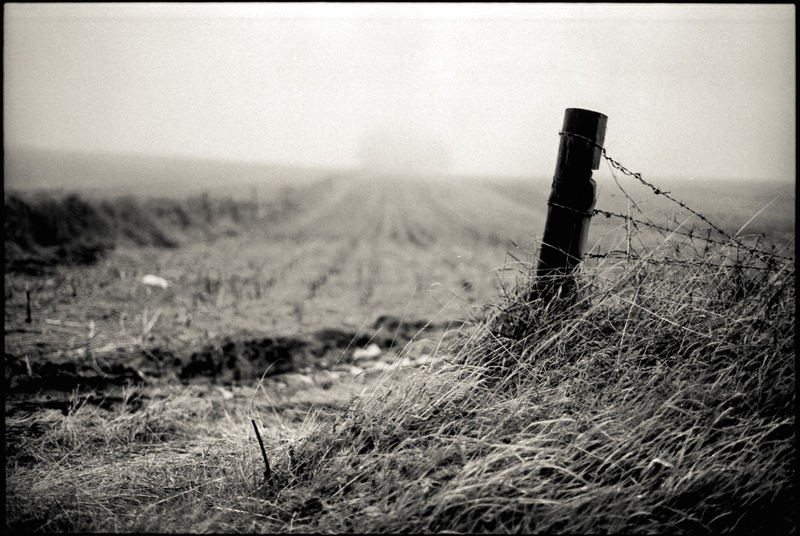 I throw away all the negs I don`t like but spend maybe several evenings printing those few frames into 30X40 prints. Life is fine again...! Make your photographs about something instead of making random images. So maybe read a local history book and make your own photographs based on the locations or events. 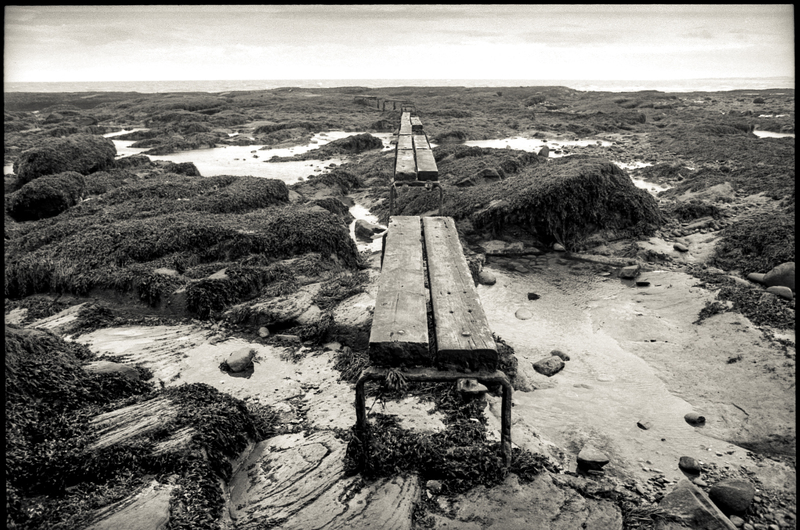 Or take an OS map and photograph all the jetty's on the coastline nearby, making the images about a lost way of life (or whatever). Read the 'Whats On' guides for local events, etc. So you create projects, but don't try to come up with idea's of your own all the time, take influences and use them, as painters do, as authors do, as musicians do. Address the conceptual side of the image before making the photograph in other words. You can then be excited about ideas as much as the imagery. Much of his work was done close to home or short in-state trips. You would have never thought he could do so much shooting right in his backyard more or less. 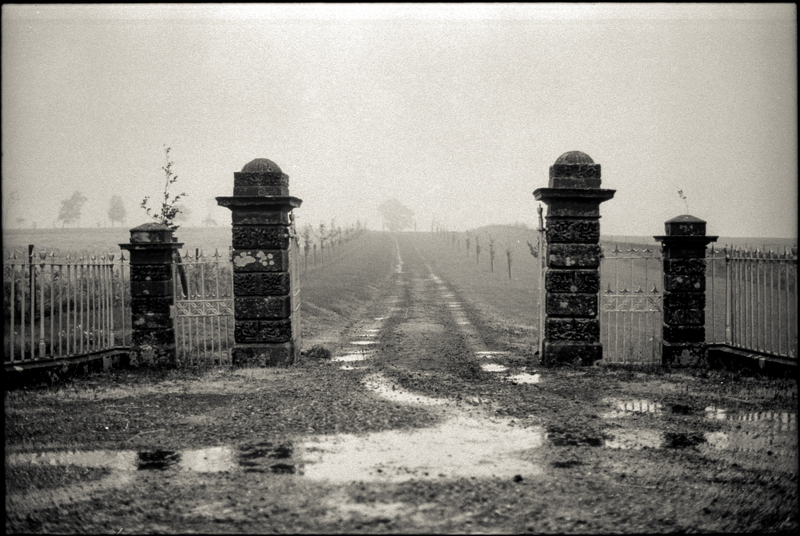 Same with Sally Mann. If you can't come up with any projects, go back over your old work to see if your vision has changed for a rehash of your images. Another thing I do if I'm feeling blah is to hit the books. I have many hundred photo books in my library. If I'm not doing anything, there is no excuse not to crack some of them open. If you can't afford books, plenty of inspiration online. As others have stated, working within a project is far more satisfying than just taking beautiful images. My current project is Carpenter Gothic Churches in Florida (most within 100 mile radius). What with printing, revisiting and historical research, this will last for at least a year. I also have a few formats to work with (from MF to 7X17). I concentrate on 1-2 formats for current project, but next project may suggest different formats. And, as Denise Ross suggested, exploring alternative procedures can open up entirely new visions of your current area. Thank you for your kind comment. I don't think we can take the "metaphor for life" analogy too literally, but when you're choosing subject matter without a brief (as a commercial photographer would have) then the choices you make are bound to be personal and revealing. I remember, once, at a difficult time, taking a "way ahead" sort of picture, but with an iron post directly in the centre. It was someone else (in fact, a lecturer, but a decent chap for all that) who induced me to think why I took it. A very well-known landscape photographer once told me, on a workshop, that he had similar periods, and one thing he did was to look back over his old work and find gaps in it. Then he set out to fill those gaps. I'm carefully not quoting him exactly but giving what I understood at the time. Do you organise your work into projects or series in a structured sort of way? "The Unpeopled Quarry" "Staircase" (?) You'll see that these are not really serious suggestions, merely top-of-head stuff. Then, having a group of images that fall into some sort of category, the next step is sequencing. The word suggests putting the images in 1-2-3... order but it has come to mean rather more than that. It's grouping or arranging the images so that they seem to feed each other. I hope this explanation contains some coherent meaning. The moderately good news is that this is best done when you're not raring to get out and make clicking noises. I mentioned a workshop above. Might be worth looking at going on one. You need to be picky; some of the advertised ones seem to be little more than a tour around the tripod-holes of guaranteed Awesome Shots, with some advice on the less familiar settings on your (inevitably) DSLR. Look for a photographer you respect. On a good workshop, they'll seem to teach nothing, but you learn a lot, often from the other participants. You might not realise what you've learned until weeks afterwards. You may already be suffering from advice-overload. Ignore anything that you don't like, please. An unusually tricky Turing test this time. Two years ago I decided to focus on what I could see from the footbridge over a local river. Whatever other subjects I dallied with - that one vantage point became the eye of the needle through which my photo ambition had to pass. Many times I said "to hell with this" as I dressed in the predawn to gather one more frame from the bridge. After over forty years of photography that one project taught and consolidated a new love of the game I am surprised to feel. Sometimes with subjects less (fewer) is more. I tend to do a ton of location research so location opportunities are seldom the issue for me but I do feel stale every now and then and that's when I look for challenges. Sometimes I just write down a bunch of different shooting challenges down on separate pieces of paper and put then in a can. when I need a challenge I go to the can and reach in, pull a piece of paper out and do whatever it says that day or weekend. Sometimes the challenge is a switch in subject type, shooting genre, focal length, frame size (6x4.5cm, 6x6cm vs 6x9cm, 4x5", etc), long exposure, still life, portraits and sometimes I go all minimalist and pickup one of my 4x5 pinhole cameras and a couple of film holders and go for a drive. But sometimes you get stale because you are still trying to "shoot" without first "seeing". That's when it's better to just go for a walk and observe things for a time and let different scenes "talk to you". Minor White used to say something along the lines of "Don't just see and photograph things for what they are. See and photograph them for what else they are." That requires seeing before taking action.